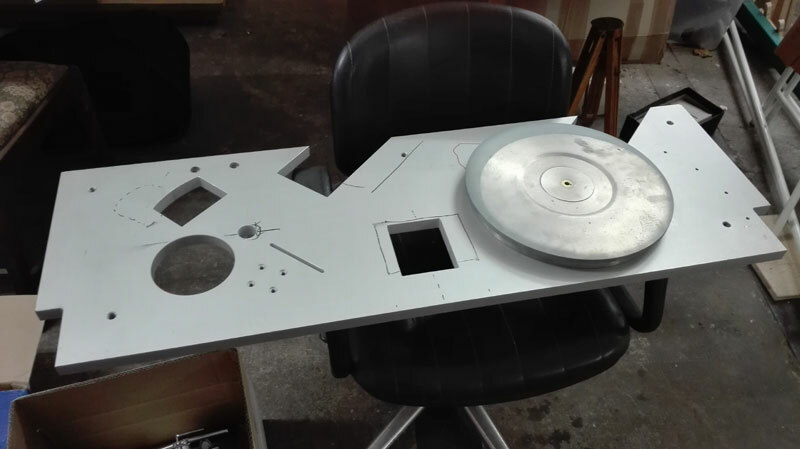 …based on Lenco platter and bearings. Well , a bit complicated title, but this deck serves a few purposes. 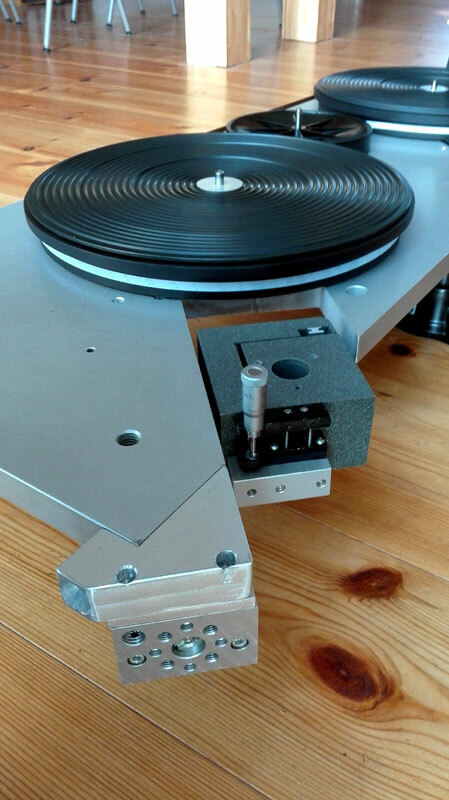 Only one motor (left) drives two platters via a tape between them. This concept goes back to an idea originating from s.o. wo had two Garrards and drove one via a belt passively. There are also French guys from the L’audiophile circle driving a passive platter with another player via a belt. Not sure who was the first one using s.th. like this. 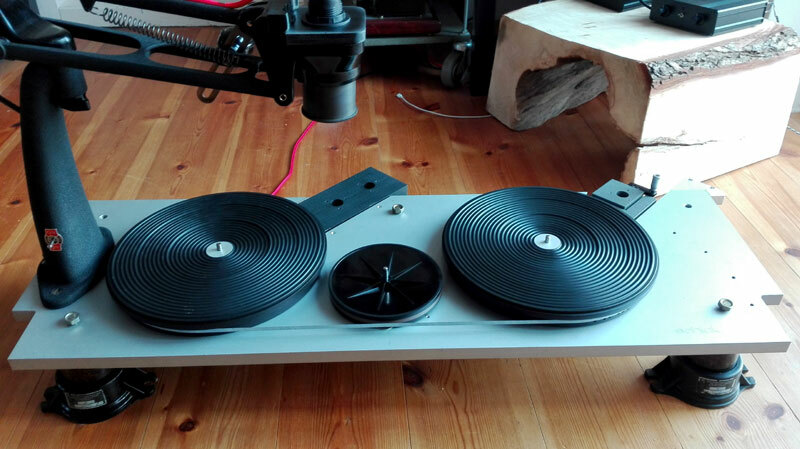 The absence of a running motor in the deck with the tonearm is supposed to make a big difference. In this build the motor is far away, but still on the same plinth. Which spoils the isolation idea a bit of course. 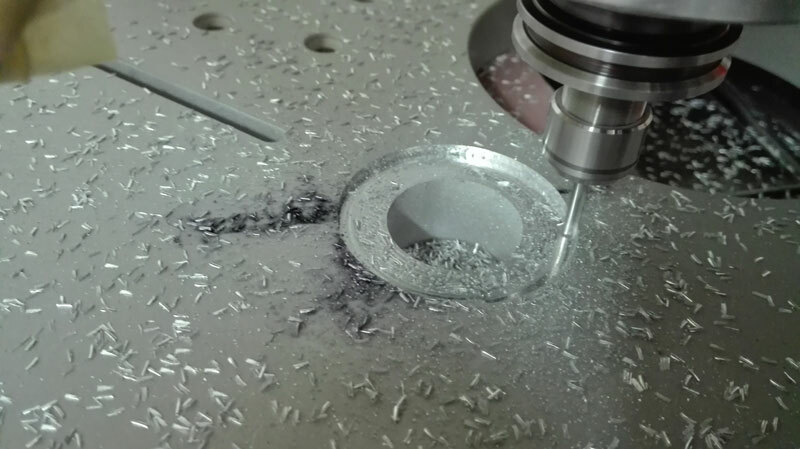 The 20mm aluminium slab is from a robot in silicone wafer production. Got that from Fraunhofer Institute in Berlin, where my former Boss works. 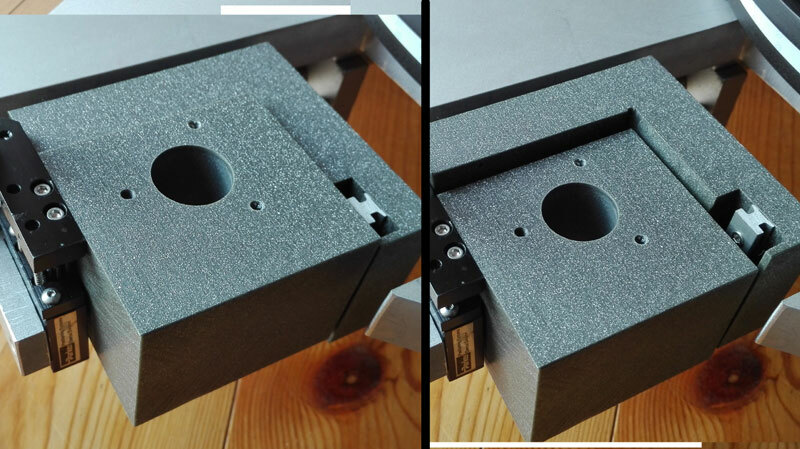 That robot also donated a movable tonearm base on a pneumatic cylinder and the height adjustiment parts for the base in height. 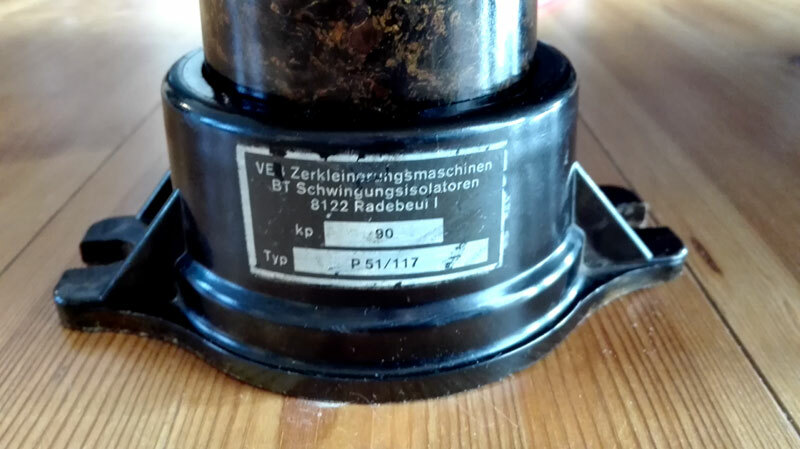 The lamp is an old foto enlarger, from a company called ‘Rheinmetall’. Well, you do need light if adjusting pick ups, right? …and it looks cool too, I think. 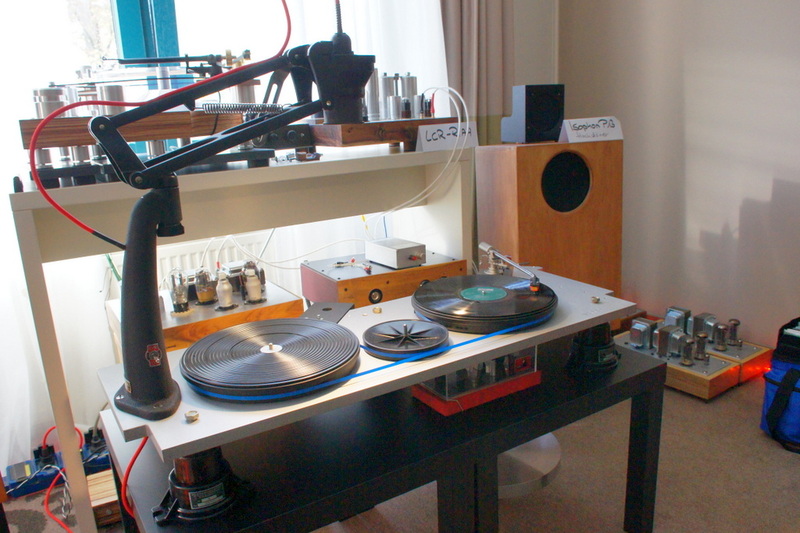 The player was used on the Analog Forum meeting in Krefeld.